Since Republicans embarked on their effort to dismantle the Affordable Care Act, the question of how to handle preexisting conditions has roiled their negotiations. On the one hand, GOP leaders including President Trump have repeatedly sworn to protect sick people’s access to affordable insurance. On the other hand, Republicans have consistently folded to the demands of conservatives to gut those protections. The tradeoff that Republicans have not figured out is how to lower premiums for healthy people without screwing over those with expensive health care issues. 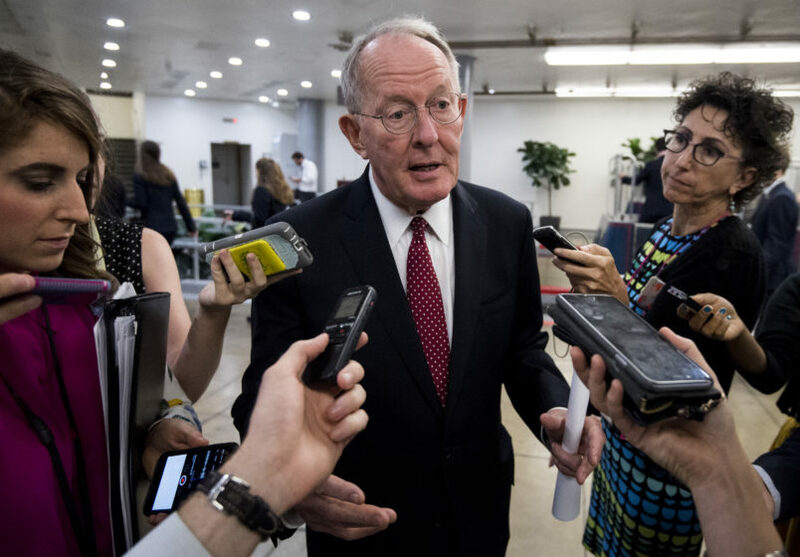 The repeal latest bill being considered by the Senate is no exception, even though it is ironically being sponsored by a senator who once championed protecting the most vulnerable. Here’s a timeline of the various promises Republicans made on preexisting conditions and how they ended up with a bill that made insurance potentially unaffordable for those consumers. “Our plan ensures every American, regardless of their health status, has the comfort of knowing you can never be denied coverage,” the proposal says. 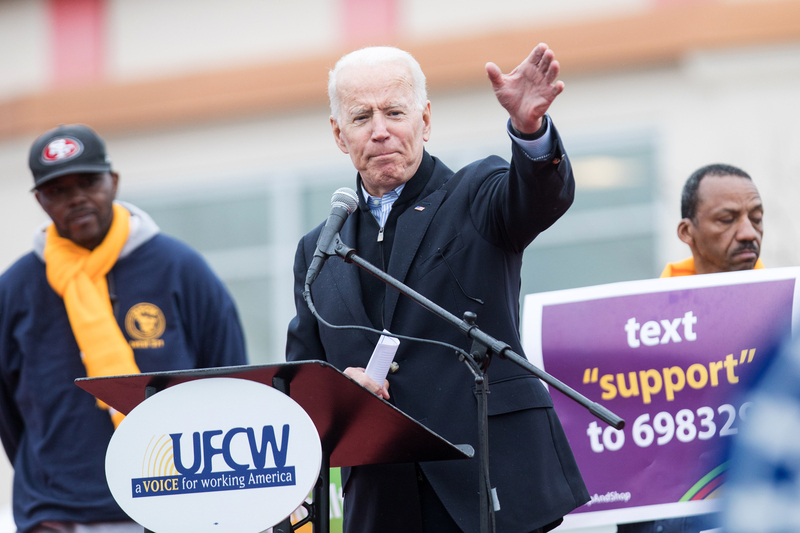 “There is no way the Congress is going to repeal preexisting conditions. it might take a different form, but people with preexisting conditions are going to be able to buy insurance in any replacement plan Republicans put forward,” he tells reporters. January 12: At a CNN town hall, Ryan points to high-risk pools as a “a smart way” to guarantee coverage for sick people, even though pre-ACA state risk pool programs were vastly underfunded. March 6: Ryan introduces the long-awaited House repeal bill, the American Health Care Act, which he says in a statement protects “patients with preexisting conditions.” The bill does maintain ACA’s various insurer regulations, including guaranteed issue (which bans insurers from denying coverage based on preexisting conditions) and community ratings (which prohibits insurers for raising jacking up premiums based one’s health status). The tweaks it makes to other aspects of Obamacare, however, mean that consumers facing expensive conditions are likely to pay more out of pocket than under current law. Nonetheless, the bill faces a revolt from members of the far-right House Freedom Caucus, who, among other things, would like Obamacare’s insurer regulations gutted with repeal. March 22: The House Freedom Caucus get a major concession when Republican leaders signal that they’re willing to gut Obamacare’s Essential Health Benefits. Though technically, the ACA’s preexisting conditions will remain, nixing EHBs would mean that insurers could sell plans that don’t offer the 10 specific coverage areas mandated by Obamacare, including maternity and additional services. Eliminating EHBs also would raise out-of-pocket costs by bringing back lifetime and annual caps, and experts suggest those repercussions could apply to those on employer plans as well. 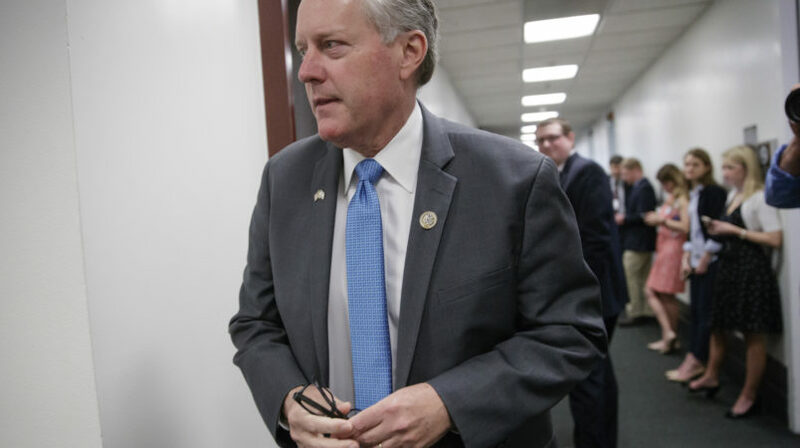 House Freedom Caucus Chairman Rep. Mark Meadows, (R-NC). March 24: Gutting EHBs is a step too far for House moderates who had been wavering on the repeal bill, and Ryan must dramatically pull the bill from the floor hours before the scheduled vote. April: While GOP leaders say they’re ready to move on, negotiations around reviving the repeal effort continue under the radar. By late April, a House moderate and a Freedom Caucus leader say they’ve struck a deal that would allow states to waive out of certain ACA insurer mandates, including EHBs as well as community ratings, meaning the insurers would be able to charge more based on health status. Despite many health experts pointing out that allowing states to waive community ratings could cause sick people to be priced out of affording insurance, House Republicans still claim they’re protecting preexisting conditions. “Our bill protects people with preexisting conditions, and it actually provides multiple layers of protection for people with preexisting conditions in ways that Obamacare doesn’t do,” House Majority Whip Steve Scalise (R-LA) falsely claims. May 3: To address concerns that sick people will be unable to afford health insurance under the revised GOP plan, Rep. Fred Upton (R-MI) sponsors an amendment providing more funding for high-risk pools and other programs. The amendment is vaguely written with an arbitrary amount of funding well short of what it would cost to fund a national high risk pool. Nonetheless, it’s enough to pass the bill narrowly out of the House the next day. May 4: The House bill passes, and the Senate GOP immediately begins distancing itself from it by arguing that they’re starting from scratch and that their bill will do better on preexisting conditions. 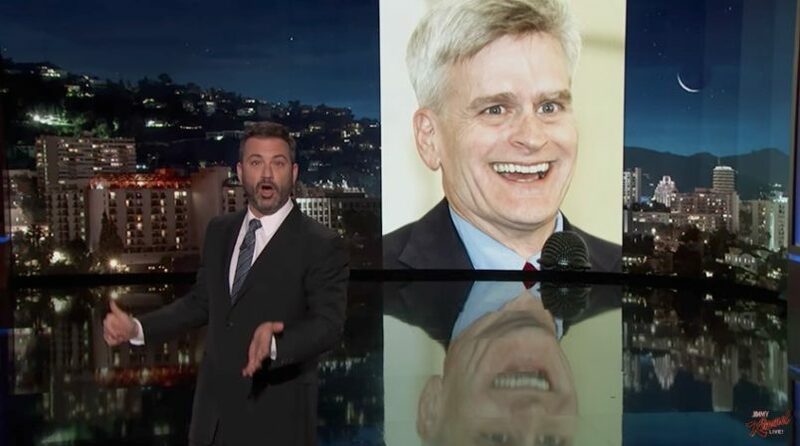 May 9: Sen. Bill Cassidy (R-LA) appears on Jimmy Kimmel Live! to talk about what he has dubbed the “Jimmy Kimmel test,” after Kimmel’s account of his young son’s heart condition goes viral. That test includes taking “care of preexisting conditions,” Cassidy says. United States Senate Majority Leader Mitch McConnell (Republican of Kentucky). June 22, 2017: McConnell formally introduces the Better Care Reconciliation Act. On its face, the state waivers that roiled the House negotiations appear to have been abandoned. However, the bill aggressively expands the ACA’s existing waiver structure, so that states can use that avenue to opt out of a bevy of ACA insurer mandates. Community ratings remain intact and not available for a waiver, but health experts argue that nonetheless the waiver provision is loose enough for sick people to face higher premiums. 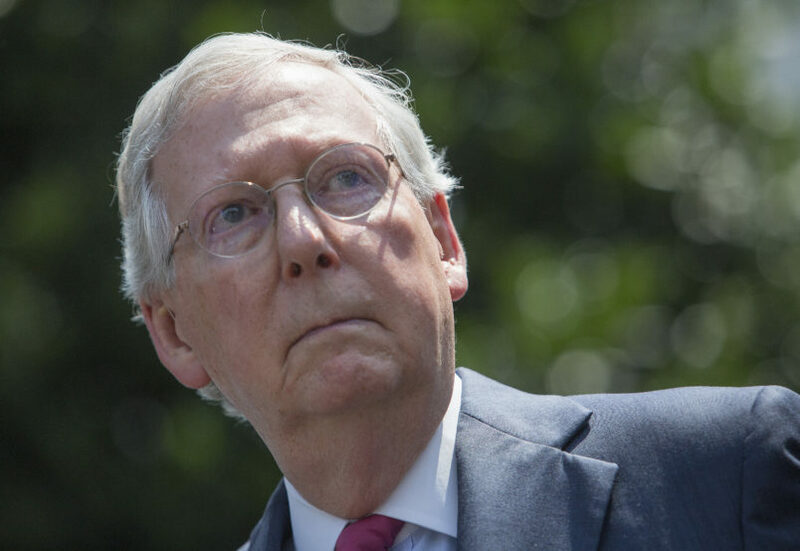 Senate conservatives revolt against the bill. Early July: To win back conservatives’ support, Sen. Ted Cruz (R-TX) proposes his “Consumer Freedom Option” which would allow insurers to sell unregulated plans if they also offer ACA-complaint options. Other Republicans warn the idea may be an end-run around preexisting conditions protections. July 25: A revised repeal bill with the Cruz amendment and more funding for moderates fails spectacularly in a floor vote that was largely symbolic, because the legislation needed 60 votes to pass. A vote to keep repeal alive with a “skinny repeal” also fails later that week. September 24: A revised version of the Cassidy-Graham bill is rolled out. States no longer have to apply for waivers to rewrite ACA regulations, but some of the insurer mandates — including community ratings — must stay intact. However, another provision allows states to permit multiple risk pools— a system where sick people would still likely see their premiums increase. September 25: The CBO releases a preliminary report that makes clear the vulnerabilities those with preexisting conditions face under the Graham-Cassidy bill. Either they’ll live in a state that keeps the regs that protect them, with a possible death spiral prompting insurers to leave the marketplace. Or states will modify those regs, at the risk of making coverage more expensive for those with preexisting conditions. “As a result, some people who would have been insured in the nongroup market under current law would be uninsured,” it said.